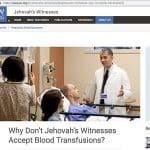 “Why are blood bankers so compulsive about little mistakes on a tube or requisition?” “What tests have to be done before we transfuse a patient?” “What does that darn ‘3 day rule’ mean, anyway?” Sue Johnson answers these questions and more in part 1 of our interview on Pretransfusion Testing. 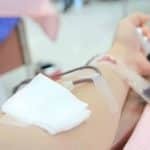 To those less familiar with testing and processes in blood banks, the process of Pretransfusion Testing can feel confusing and intimidating. There are tons of rules, and we feel compelled to hold everyone and everything involved to a VERY high standard! In fact, doing something wrong can be front page news, even if nothing terrible ends up happening! 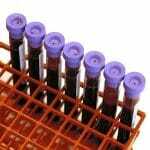 Sue Johnson returns in part 1 of a discussion of the first two steps in pretransfusion testing. As she did with the DAT, Sue will help you understand the “why” behind the tests. In this interview, Sue will first detail the thoughts and ideas behind how the specimen is prepared and collected. 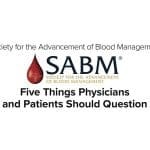 She will help you understand just why “blood bankers are sooooo compulsive about all of this!” Sue continues by outlining the details of the actual tests performed on patient blood in preparation for transfusion. 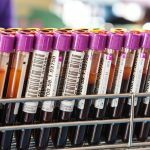 She will explain the strengths and weaknesses of the various testing technologies in use in modern transfusion services, and help you understand why there is no such thing as the “perfect testing platform.” In Part 2, episode 051, Sue will cover product selection, compatibility testing, and product labeling. 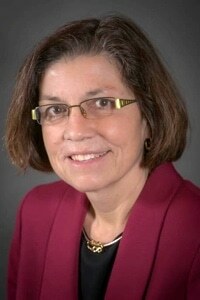 Sue Johnson, MSTM, MT(ASCP)SBB is the Director of Clinical Education at BloodCenter of Wisconsin (a part of Versiti). She also is the director of the Specialist in Blood Banking Program at BCW and the Transfusion Medicine Program at Marquette University. Sue is Associate Director of the Indian Immunohematology Initiative, a program designed to improve general immunohematology knowledge in South Asia. She is a sought-after speaker and world-class immunohematology expert. 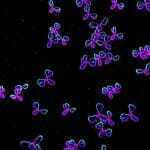 Sue also appeared on the most popular episode of this podcast, episode 028, discussing the Direct Antiglobulin Test. DISCLAIMER: The opinions expressed on this episode are those of my guest and I alone, and do not reflect those of the organizations with which either of us is affiliated. Neither Sue nor I have any relevant financial disclosures. Music for this episode is by Mar Virtual via the Free Music Archive. Click the image below for permissions and license details. Dr. Chaffin – Congratulations on your 50th podcast episode! I listen to your podcasts on my way to work (I’m a pathology resident so not sure it’s considered work yet), but benefit tremendously from your potpourri of experts, broad topic choices and passion for teaching. 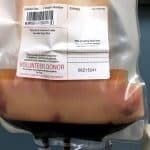 I kid you not, but finished listening to this podcast on pre-transfusion testing with Sue Johnson and was faced at the morning check-out rounds with an incident in which a post-transfusion sample arrived for a suspected transfusion reaction work-up with absolutely NO patient identifiers. Wow – it really happens! Knowing how to handle these intimidating situations is extremely helpful especially when considering the monumental repercussions the patient can endure. Thank you for sharing your insights and invaluable experiences! I am so appreciative. Daniela, thanks so much for the congratulations, and for the “real-life” story! 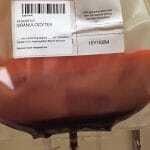 Yes, stuff like that does happen, and in your role as a pathologist, it will be very important to support your transfusion service staff when they take a stand on acceptability of samples that do not meet requirements (and recognize that our standard in the blood bank is usually a higher one than some other parts of the lab!). Best of luck to you in your training and future career! I make these podcasts (and the entire website, really), with learners like you (and lab science students and laboratorians in general) in mind, and I’m very honored and glad that you find the materials useful. Please, it would be great to have subtitles in spanish because there´s a huge community of blood bankers in Latin America who have problems with podcasts and videos in english. Without a doubt this community would use better this amazing education tools. Hi, Jesus! That is not something I am currently capable of providing, and I’m very sorry for that. I will keep it in mind, however, should the opportunity arise. I greatly appreciate you writing me about this. Hi Joe! Thank you so much for this podcast 🙂 I was just reading about pre-transfusion tests this week so you helped me a lot. I’m very glad it was helpful! Part 2 is coming soon, so stay tuned! 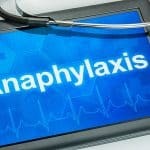 I had been scolded by doctor and written Midas by nurse for rejecting specimens that had incorrect labeled information. Our SOP says so, but most of my fellow coworkers let the nurses come to the lab to make correction. I was singled out as the mean one. Another problem is dry lab. As far back as 10 years ago, I noticed certain techs did not do QC, but just filled out the forms, especially when they were busy. Few months ago, I noticed one tech not doing the actual unit typing of the incoming units. That is very scary because we have electronic crossmatch. He had taken away the last safe guard of the patient. I ended up doing for him later. That is an eye opener. CAP for all its hard work, does not stop lazy techs. You raise troubling points, but in my view, such events are really uncommon. 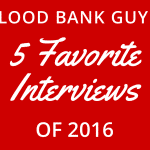 I have found blood bank laboratory scientists to be among the most dedicated, compulsive, and rule-following people I’ve ever encountered. It’s very hard for me to imagine some of the things you describe. If necessary, bringing the medical director’s attention to situations where a lab scientist was acting inappropriately would be wise. I agree 99.99% of the techs are dedicated and rule following. I did email the bb supervisor about the issues and suggested peer review. Her response was she could not be everywhere watching the techs. Peer review is not a popular thing, especially with unit type and QC. ‘we are not children’. They only thing we have peer review is panels (antibody id) and it is done in the main lab, not at the lab I work.